It turns out that just a year or so after throwing the idea around, the Federal Aviation Authority in the US is looking to loosen its restrictions on in-flight gadget usage. According to the WSJ, a high-level, 28 member panel will recommend to the FAA that it relax restrictions during Taxi, Takeoff and Landing. This is based on an investigation launched in August 2012 to assess just how dangerous electronic devices are aboard flights. While the exact recommendation is still unknown to us, it is expected that more gadgets will be able to be used aboard the aircraft and some devices may just be allowed for the entire duration of the flight. It is not known if cellphone calls will be touched at all. If the FAA is taking steps to update this regulation, how long do you think it will take for it to trickle down to all carriers across all countries? 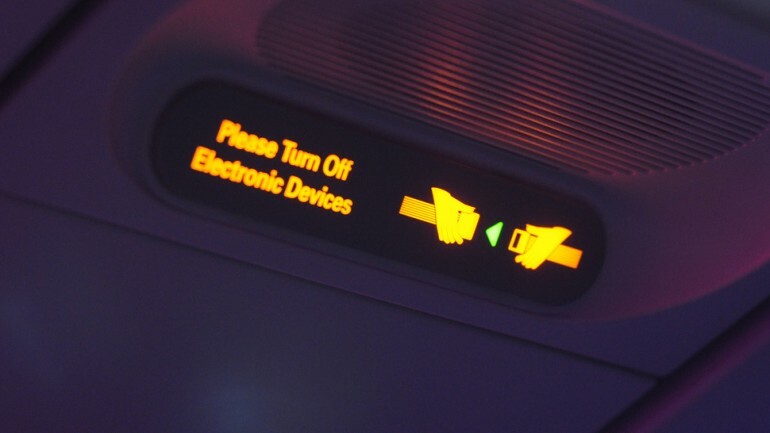 What do you think, should we be allowed to use electronics liberally throughout flights?